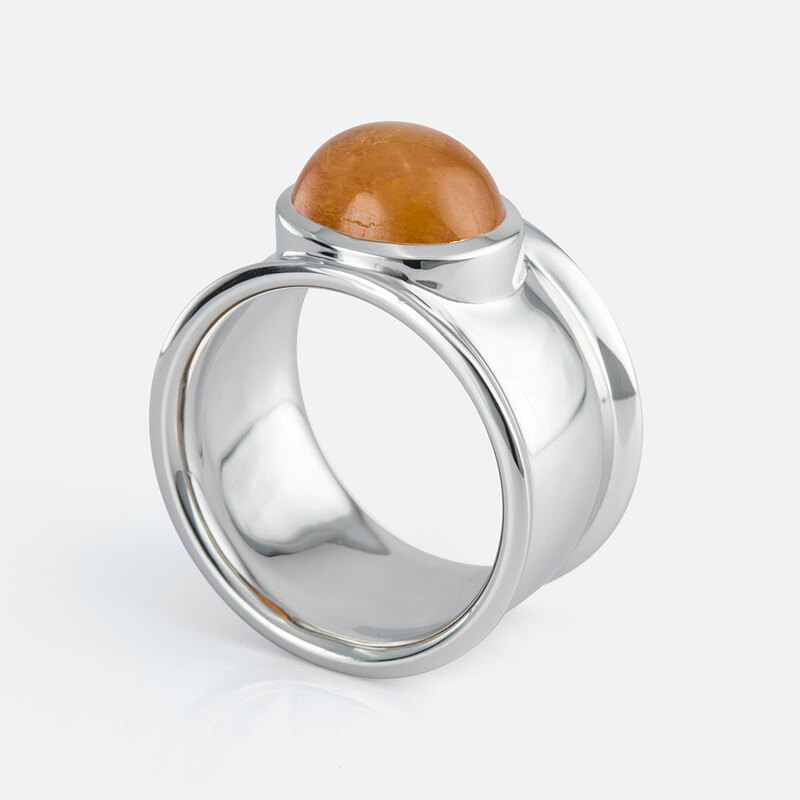 “Candies” ring in yellow gold with mandarin. 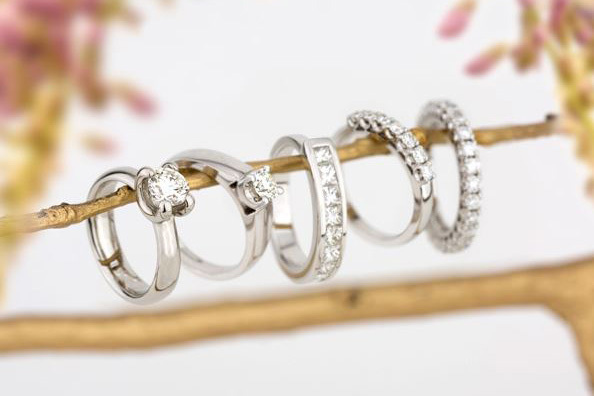 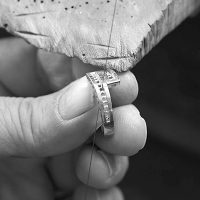 “Candies” ring in white gold with iolite. 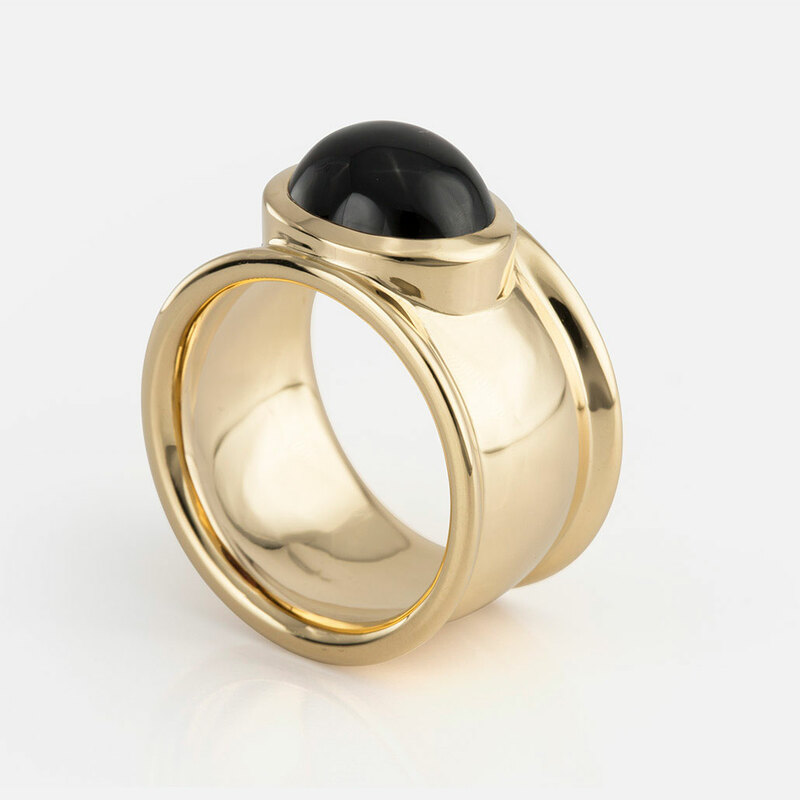 “Candies” ring in yellow gold with green tourmaline. 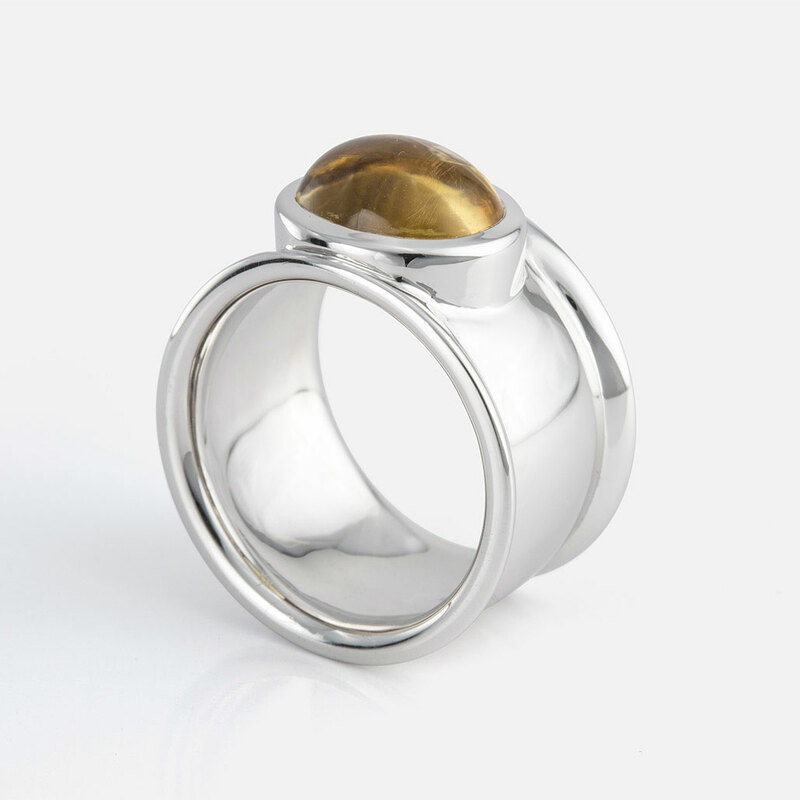 “Candies” ring in yellow gold with granada cabochon. 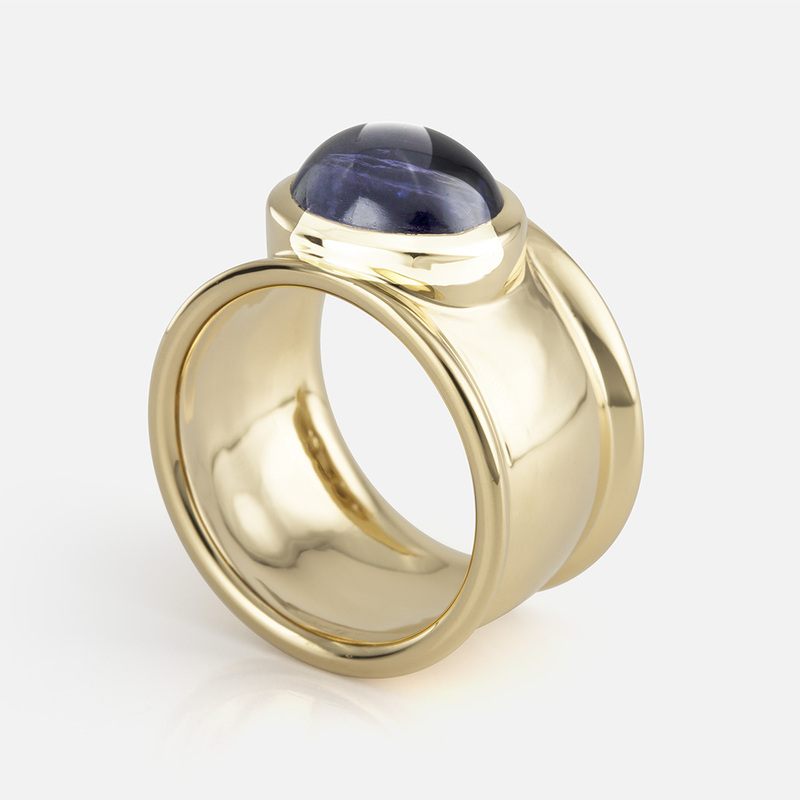 “Candies” ring in yellow gold with iolite. 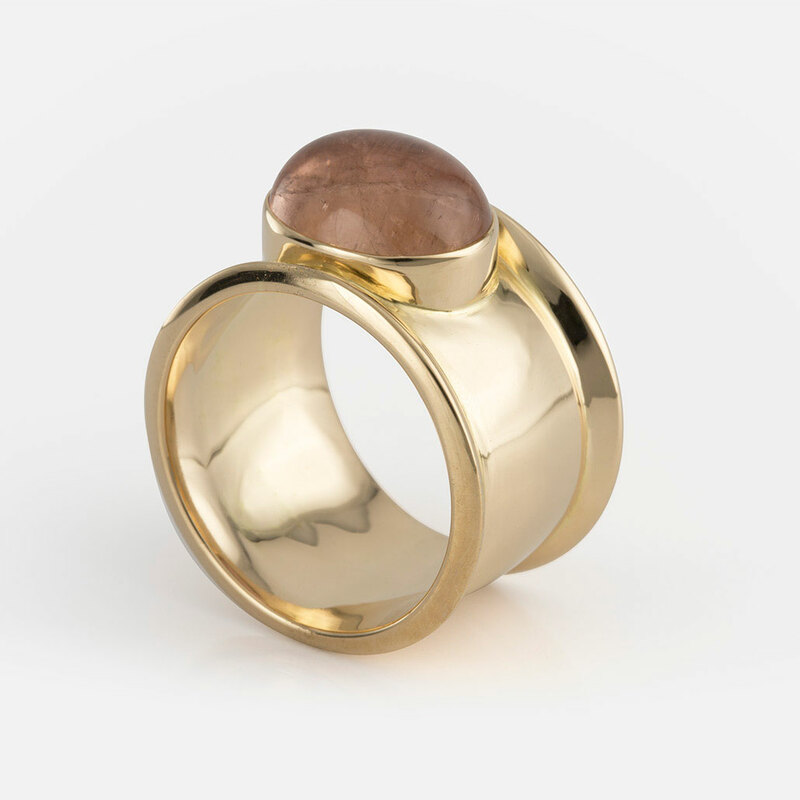 “Candies” ring in yellow gold with salmon tourmaline. 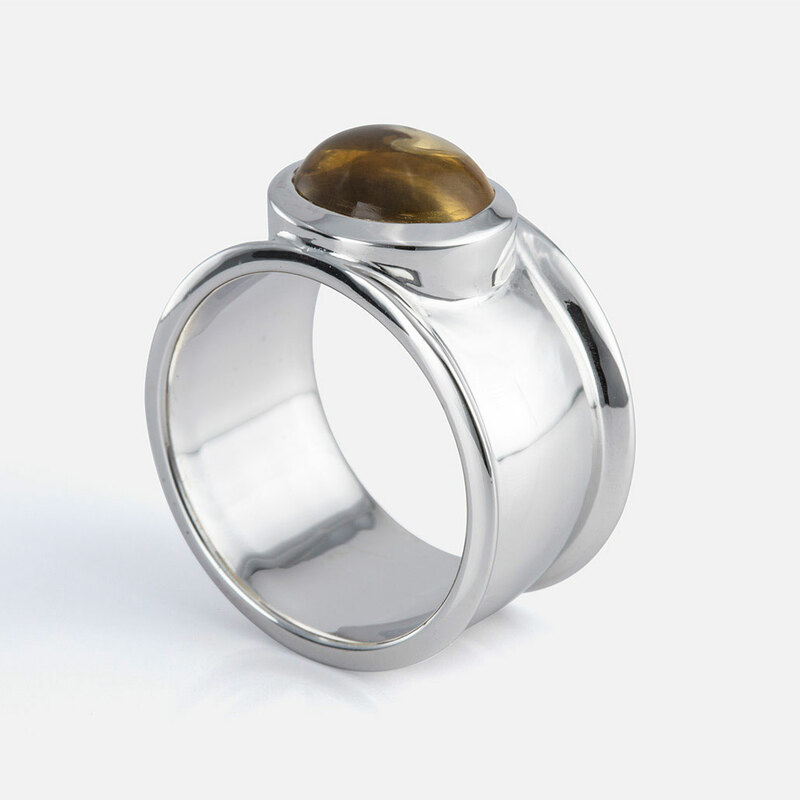 “Candies” ring in white gold with citrine palmera cabochon. 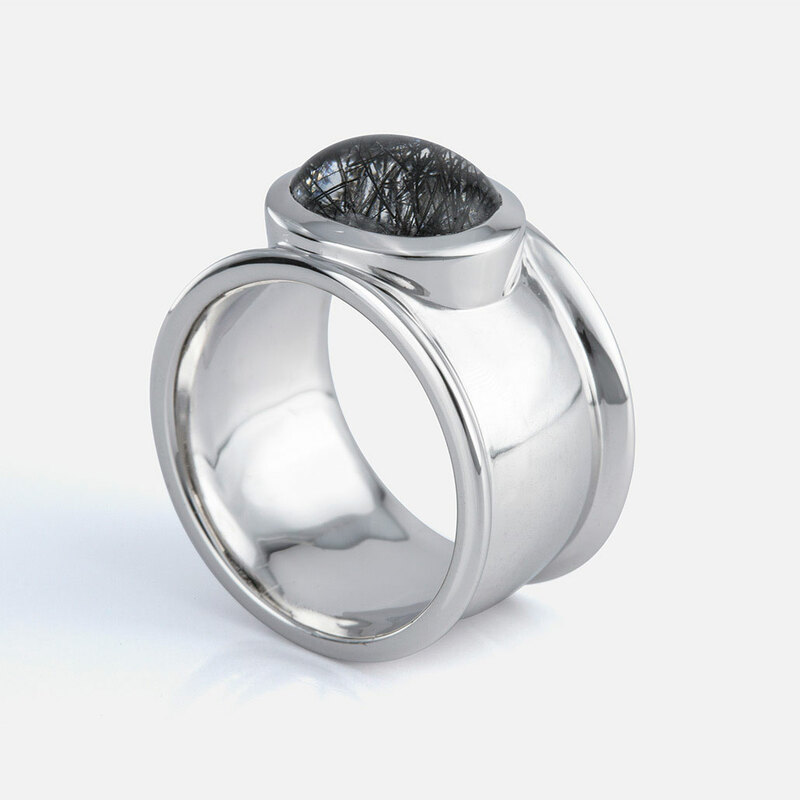 “Candies” ring in white gold with smoky quartz cabochon. 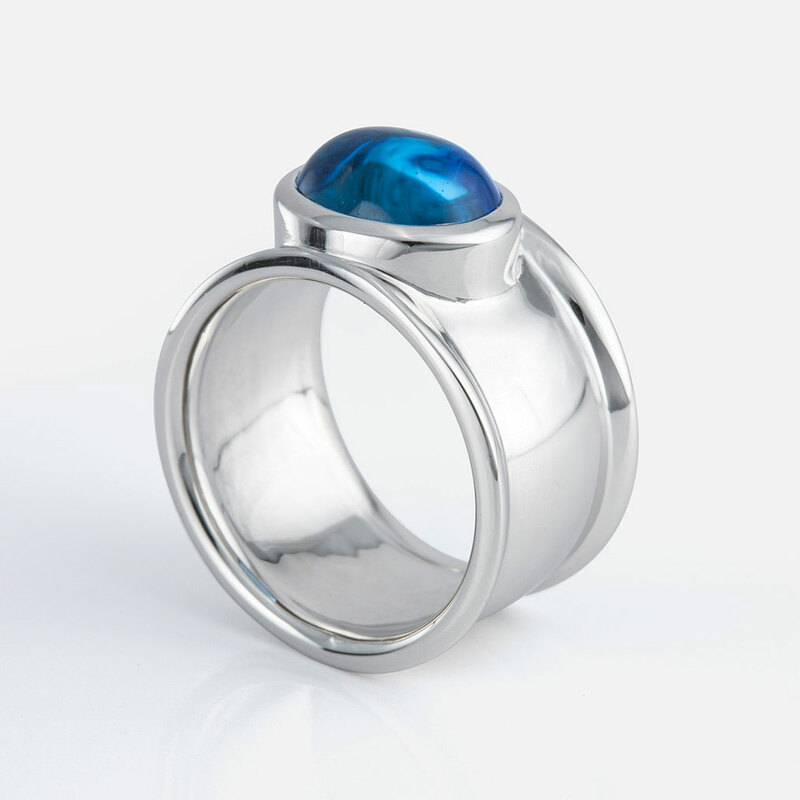 “Candies” ring in white gold with swiss blue topaz cabochon. 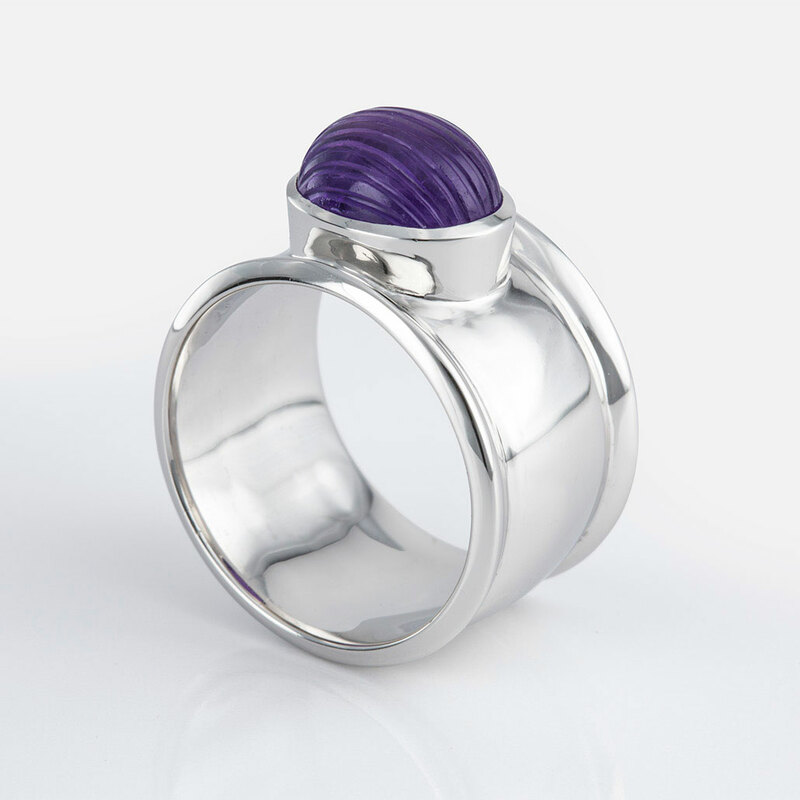 “Candies” ring in yellow gold with striated amethyst. 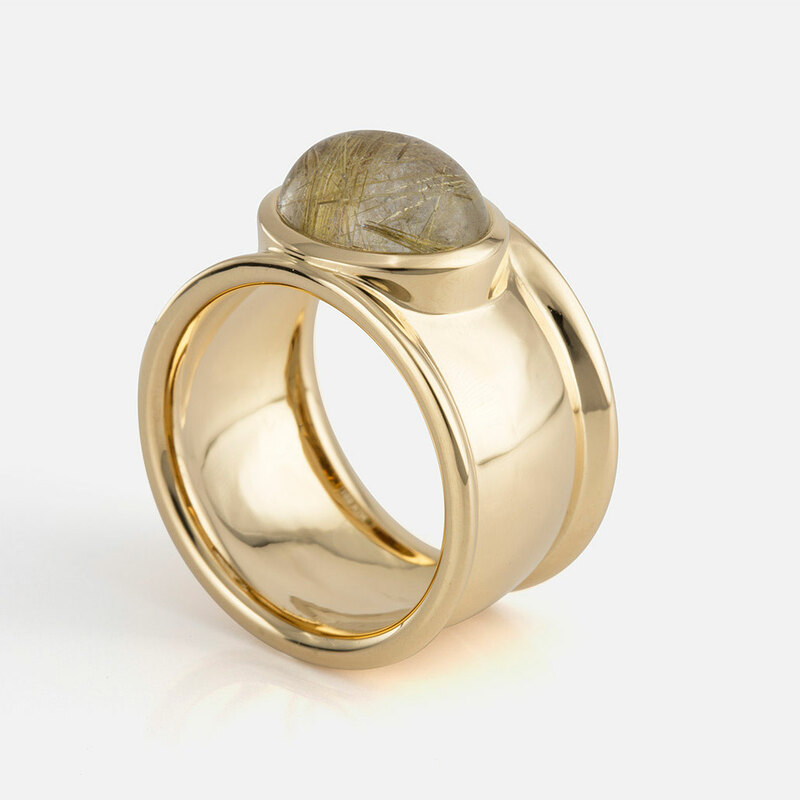 “Candies” ring in yellow gold with rutile quartz. “Candies” ring in white gold with tourmaline quartz cabochon.